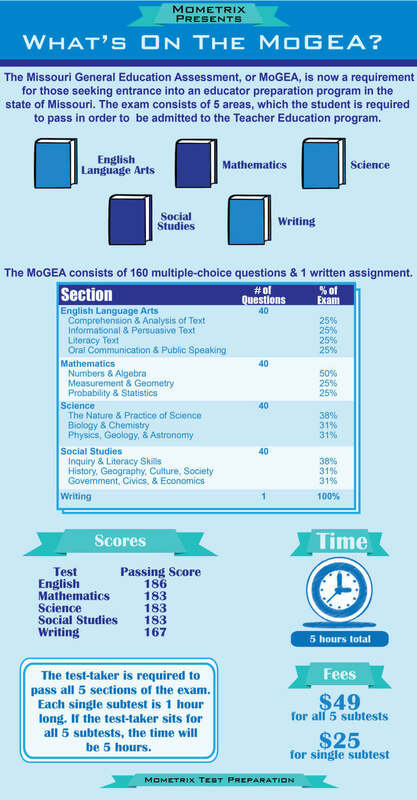 In Missouri, educators must take the Missouri Educator Gateway Assessment (MoGEA), an exam administered by the Missouri Department of Elementary and Secondary Education The exam contains four subtests in reading, math, science and social studies, and writing. 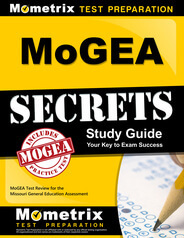 Prepare with our MoGEA Study Guide and Practice Questions. Print or eBook. Guaranteed to raise your score. Get started today! Candidates must pass all four subtests in order to teach in the Show Me state. This guide provides an overview of the Reading and Interpretation section of the exam, as well as a recommendation on study materials to help you prepare for this exam. How many questions are on the MoGEA Reading Comprehension and Interpretation subtest? Candidates must complete 39 multiple-choice questions. How much time do candidates have to finish this area of the test? Candidates have 75 minutes to finish the reading subtest. The test is available by appointment, year-round. Candidates will see availability during exam registration. The Missouri Department of Elementary and Secondary Education has hired a third-party company to deliver the exam to students. The company has offices in Missouri. Candidates can search for locations nearest them during the registration process. MoGEA Flashcards. 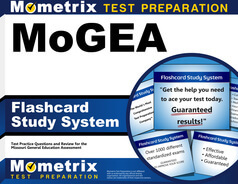 Proven MoGEA test flashcards raise your score on the MoGEA test. Guaranteed. What is the fee to take the Reading subtest? It cost $25 to take the subtest. When are test scores available? Test scores will be released roughly two six weeks after the test date. The education preparation program sets the subtest passing scores. Candidates should check with their program. The MoGEA Reading Comprehension and Interpretation subtest contains three sections. Each section includes roughly one-third of the exam’s questions. Identifying main ideas and themes of the text, including recognizing information, ideas, and details. Analyzing text for the meaning of words and phrases by applying word structure, context, and syntax knowledge. Understanding how word choice impacts meaning and tone. Assessing the main and key supporting ideas in a summary or outline. Examining stated or implied text to draw conclusions. Recognizing techniques writers use to connect with readers including emotion, logic, and ethics. Assessing text for credibility, accuracy, objectivity, and information bias. Please arrive at least 15 minutes before your test time. You don’t want to be late because late arrivals might not be allowed to take the exam. Candidates must bring a piece of valid and current government-issued identification. A driver’s license and passport are acceptable forms of identification. There are strict security measures in place at the test center. Candidates are not allowed to bring in, among other items, mobile phones, all electronic devices, calculators, and certain items of clothing. Please consult the test center rules for a complete list of items. What are the best study materials help me prepare for the Missouri Educator Gateway Assessment Reading and Interpretation section? Mometrix has an excellent group of study materials. Our study guide will show you how to decipher questions and look for clues that can reveal the correct answers to tough questions. Professionals in the test-taking field have written our study guide, so you’re getting tremendous expertise. Our flashcards are an excellent tool that allows you to study on the go. Take our large, portable cards anywhere you go and take some study time even when you only have a few minutes. These are the best study materials you can get.